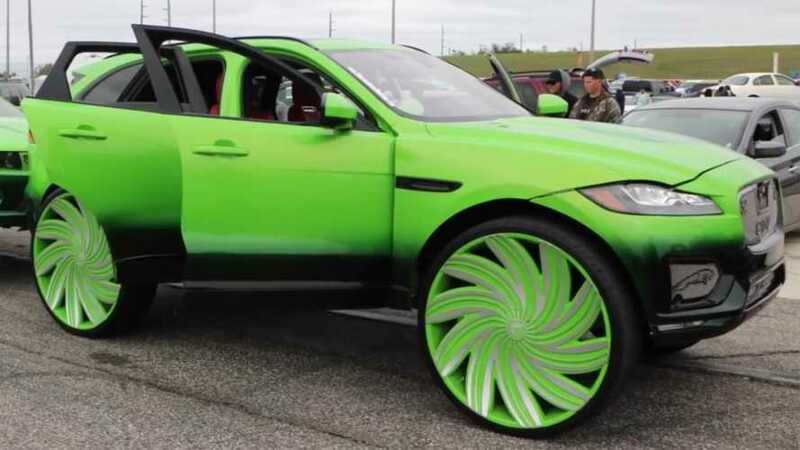 A neon green Jaguar F-Pace on a set of color-matched 32-inch wheels might not be your style, but the builder deserves some credit for making such a wild creation actually work. To match the exterior's extreme appearance, the interior has a stereo capable of shaking the exterior when the beat drops. In addition to the massive wheels, the customized body makes it very clear that this is a Jaguar. The brand's old-school leaping cat logo adorns the corner intakes in the front, and there's bright chrome mesh behind it. The company's other emblem with just the feline head appears on the hood and in the grille. The color scheme changes on the inside where there's a mix of crimson and black. New door panels make room for massive speakers. It appears this layout cuts into the passenger compartment, but the owner appears to value music over occupant comfort. Putting an emphasis on style over performance isn't an aesthetic that many owners can get behind. 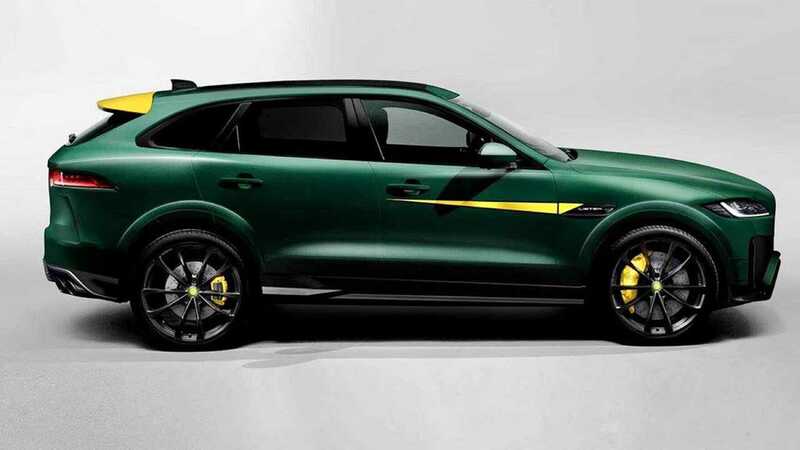 A prime example of an alternative way to tune an F-Pace is Lister's upcoming LFP. In the tuner's promo photos (below), the SUV has a green exterior (albeit in a more subdued tone) in common with the one in this video. However, Lister's take boasts 670 horsepower (500 kilowatts) and can reach a claimed top speed in excess of 200 miles per hour (322 kilometers per hour). The sprint to 60 mph (96 kph) requires an estimated 3.5 seconds. In addition to the extra power, the tuner also installs lots of carbon fiber components to shed weight. Owning the upgraded SUV is rather expensive with its base price of 140,000 pounds ($182,742 at current exchange rates), and the builder limits production to just 250 units. So what's your style – eye-catching due to big wheels or attention-grabbing from huge performance potential? Let us know in the comments below.